Stop the rumors, stop the guessing, stop the wondering why on Earth the world needs a Facebook phone. Well, you can continue to question that last part since we’ll probably never fully understand it, but the rest will be answered at 10:00AM PDT, today. 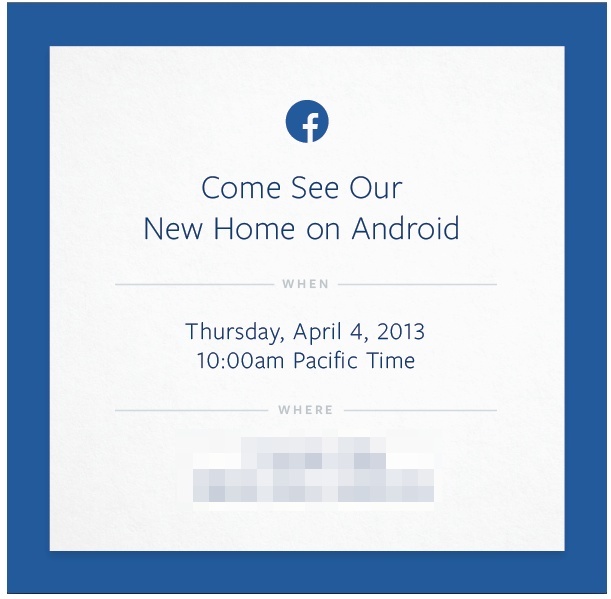 That’s right, Facebook and Sir Zuck will unveil their “new home on Android” in a short while, and we’ll be there live to bring it all to you. Their new product may be called the HTC First. It may look like this in a variety of colors. And there is a good chance it’ll be nothing more than a 3rd-party launcher with a Facebook focus. No matter what, our attention this morning will be focused on it, hoping for a big surprise. If you have any last predictions, now is the time. I’m going with, $199 phone (full retail price), no contract, HSPA+ (no LTE), and sold unlocked at all sorts of retailers like Wal-mart and Target. Similar move to what Google has done with the Nexus 4, but since the rumored specs for this Facebook sound like something out of late 2011, it should cost pennies. The live blog and live video are below!